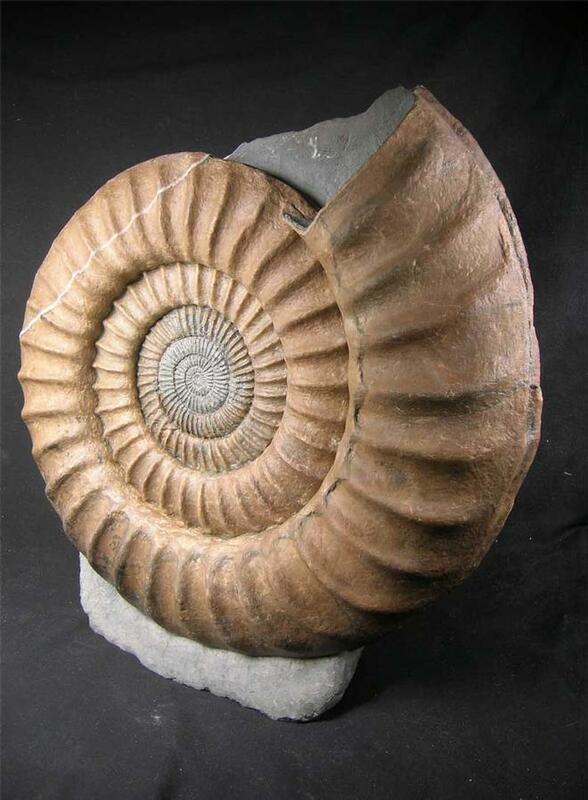 These ammonites are highly sought after by collectors and interior designers as they can form a focal point. Only rarely examples as fine as this come onto the open market, this unbroken, natural specimen with a lovely Calcite vein running through the specimen has a restored middle (Which is the case with 95% of these)and has a natural base whereas most of the ones that you see for open sale are of poor quality and on false concrete bases. 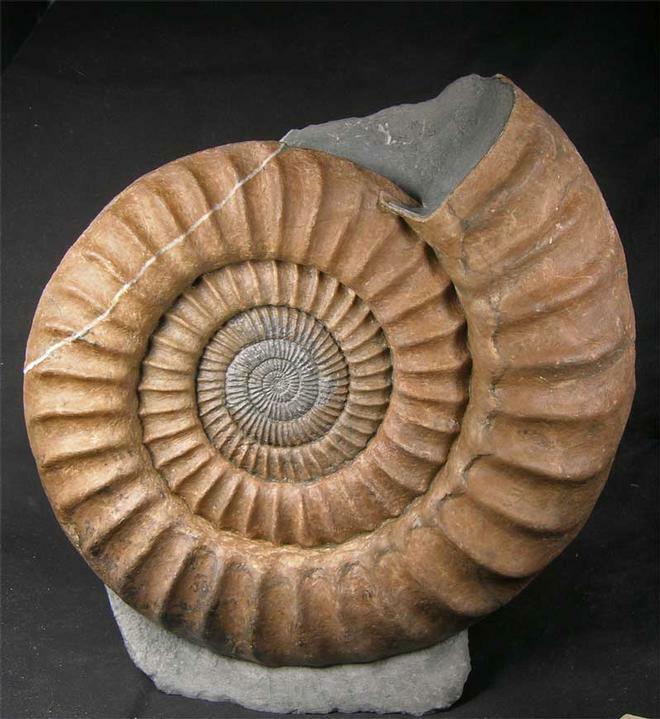 The specimen is 16.5 inches across and has been beautifully prepared in its natural matrix and has a stunning keel and a cut base for ease of display. They simply don't come any better than this!! A real gem from the world famous Jurassic coastline of Dorset. 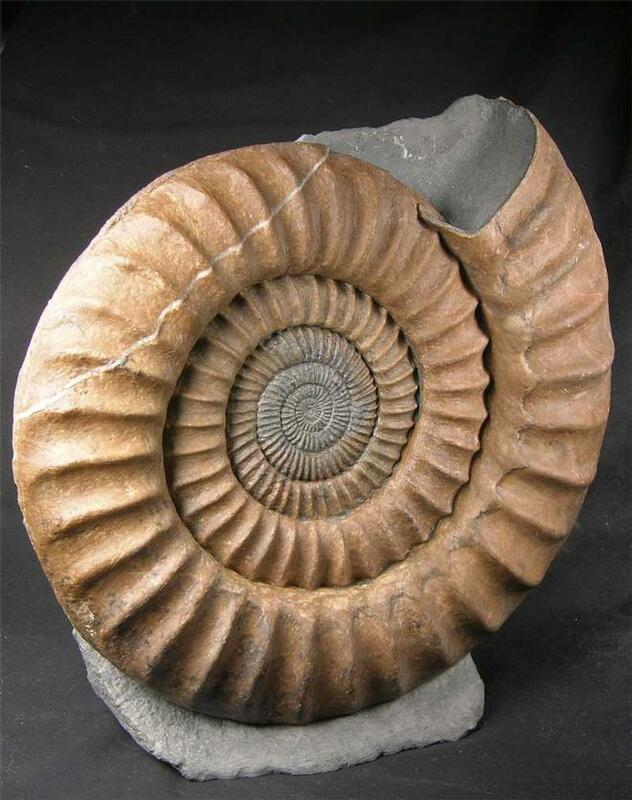 Approximately 204 million years old. 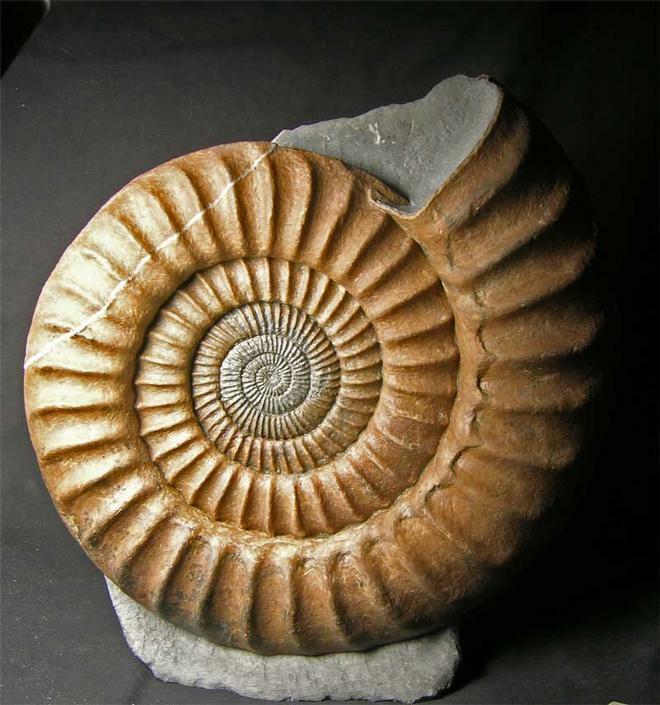 There are more images available on request and supersized images in Showcase fossils.